I am off to work with a scrapbooking organizing customer, but before I go I'll show you today's project. 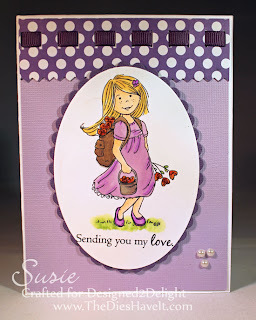 The image is another cutie from Designed2Delight. Isn't she sweet? This card is already in the mail to a friend and I know she will like it. I created that top border using my Silhouette. Then I ran purple ribbon through it. I like the texture it gives the card. 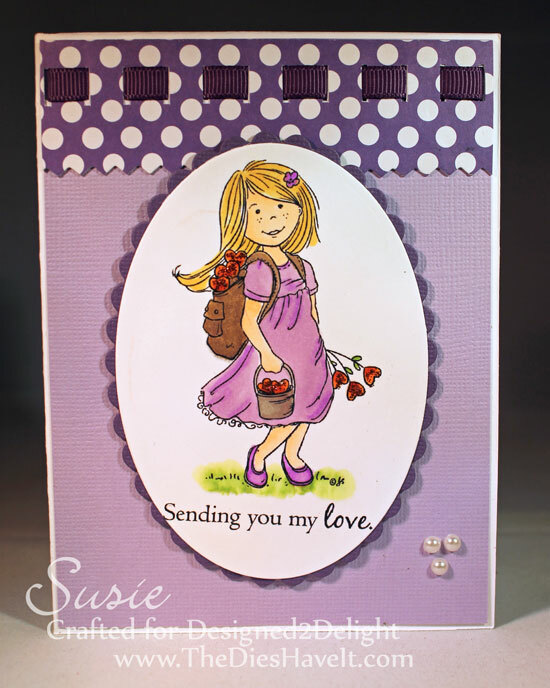 I cut the image and mat with Spellbinders dies and then added just a bit of bling once I colored her in. I hope you'll be back tomorrow. I have the cutest birthday card to show you.